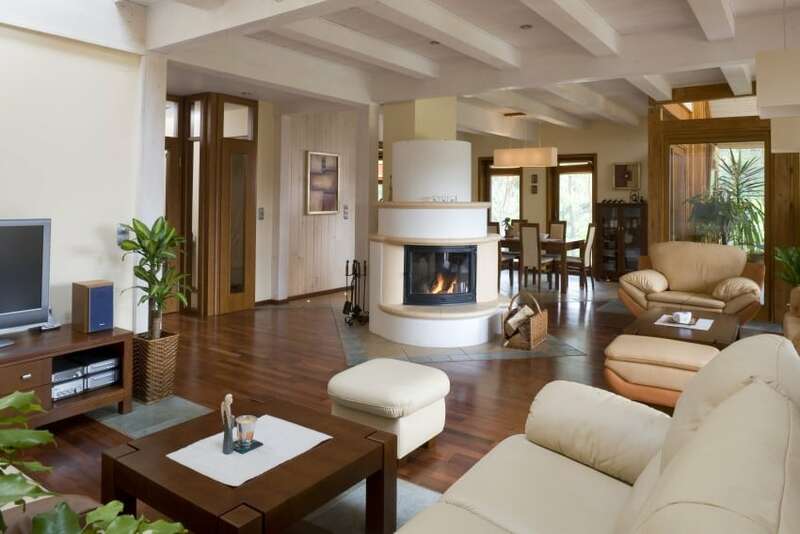 Welcome to our gallery of beautiful living room and family room design ideas. Family rooms can be a great place in your house where you can relax or spend time with your loved ones. 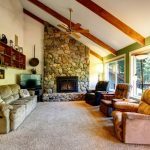 Although similar in design and function to living rooms, family rooms are still a little different as they are typically not so grand and formal. 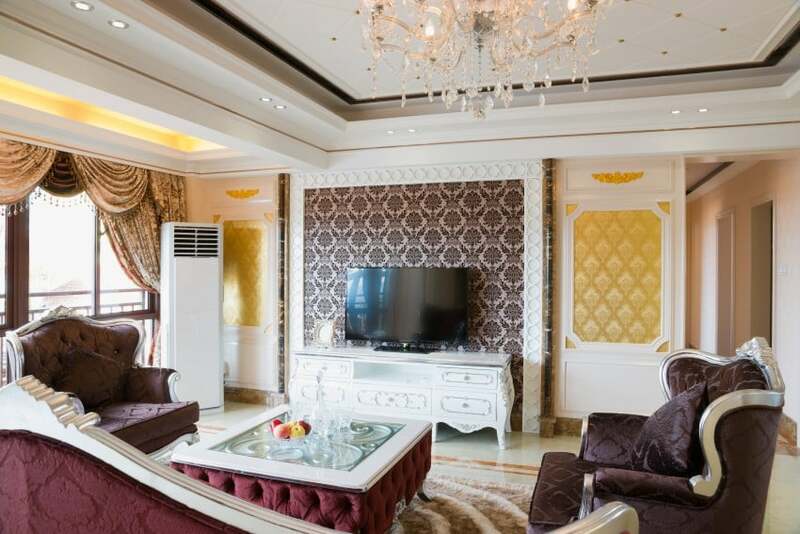 Family rooms can usually be found in larger homes that have more spare rooms and are often located in the back of the house – away from the front entrance and main living room where you would normally invite guests and spend special occasions. They are therefore more secluded and private, and have a more casual design appeal. They can often double as a play area for the kids, a home office or anything else that the family might need. 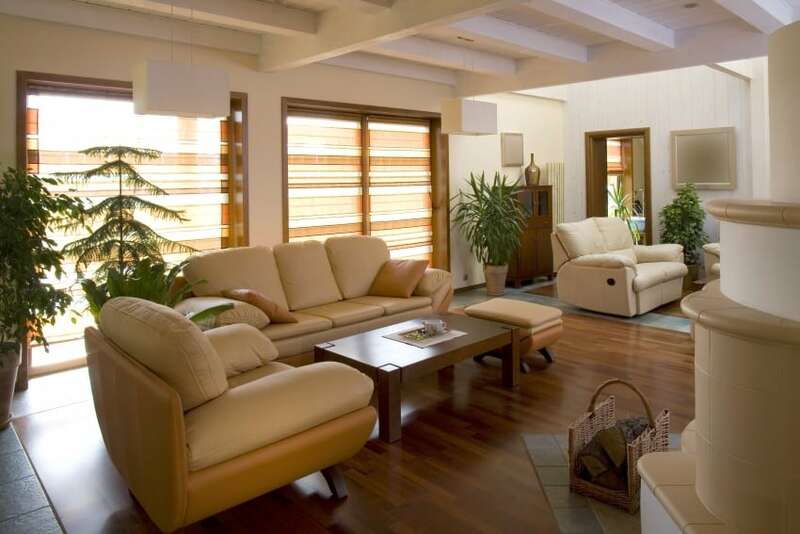 Family rooms are usually furnished with a comfortable sofa, a couple of armchairs and a coffee table. It is always a good idea to have a wide selection of seating options for the whole family. 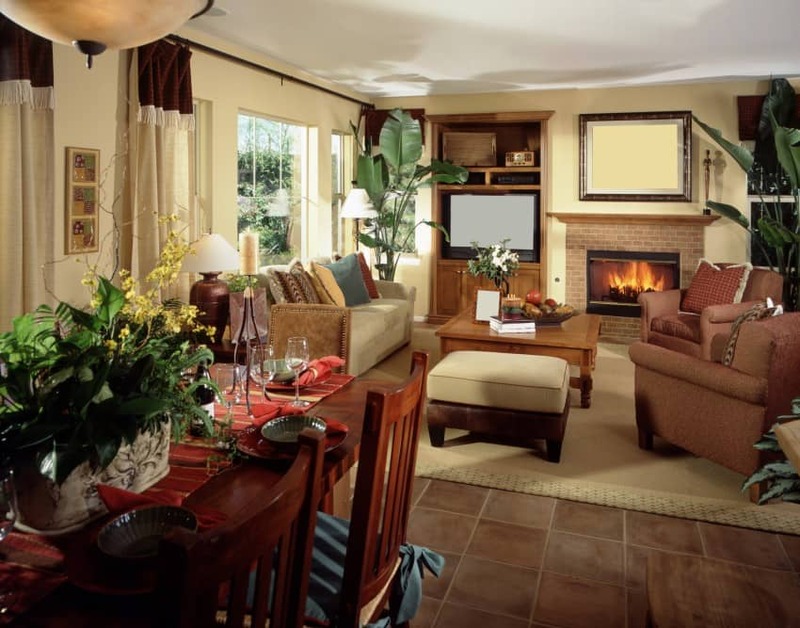 It is usually better to stay away from whole furniture sets as they can make the design more monotonous and boring. 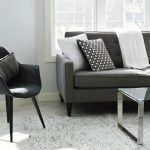 Instead, you can choose a sofa and armchairs that are totally different in design, color and material, but still you would have to keep an eye out for consistency and coherence. 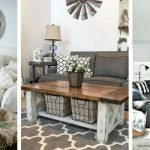 A good idea that could tie the whole room together would be to pick out a sofa and ottomans from the same set and add contrast with a pair of accent armchairs. 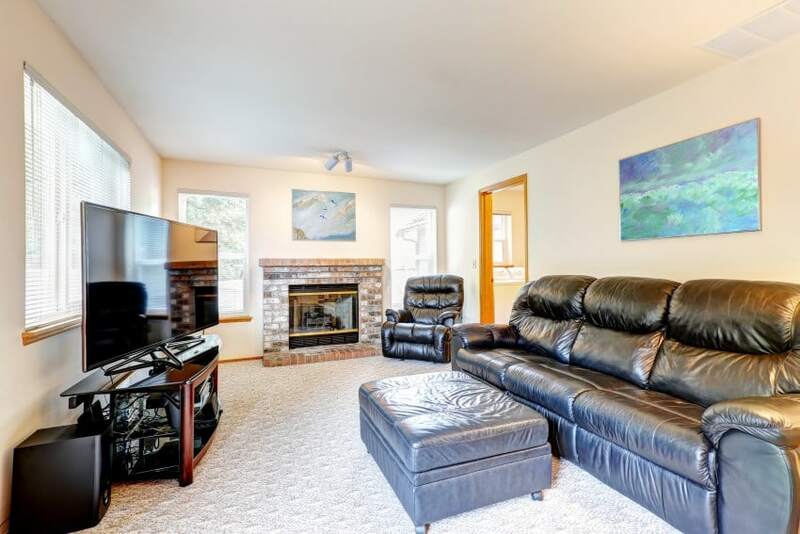 A large flat screen TV facing the sitting area is always nice to have in your family room. A certain asset would be a fireplace that you can enjoy in the cold months. If you have an ear for good music, then your grand piano could make a great focal point in the design. Or you could add a desk and bookshelves and have a nice little office area in the comfort of your own home. No matter which way you choose to go, do not forget to spruce up the whole space with beautiful home decor items such as plants, vases, sculptures, pillows and rugs. And of course, a family room would just not be complete without a fine selection of photo memories in nice frames. 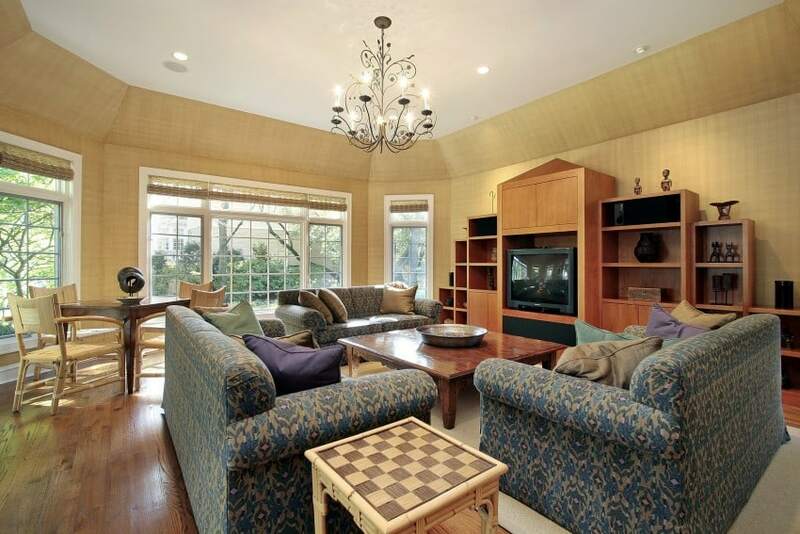 A large sitting area that can accommodate the whole family is a must in any family room. The seating options in this design idea include two sofas and a pair of armchairs. A TV is also provided so the whole family can entertain together. This furniture layout plan in this family room is functional and balanced as it offers a large variety of seating options and a visual connection to the TV and fireplace from anywhere in the room. 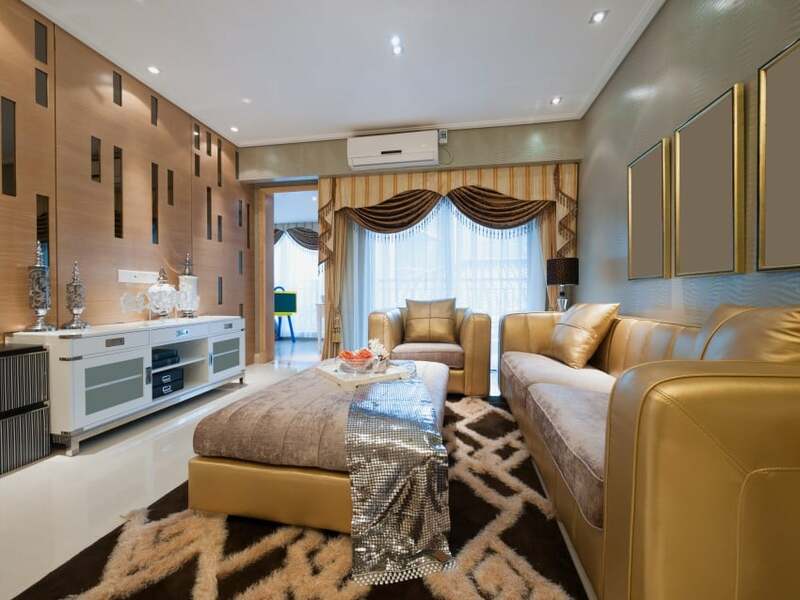 The color scheme in beige, brown and grey is elegant and harmonious. A fireplace in the center of the room is an unusual idea but it works just fine in this design proposal. It makes a nice centerpiece that ties the whole space together and serves as a great focal point, as well. This family room is furnished with a leather seating set that consists of a large sofa, comfortable armchair and a tiny ottoman. The color choice is set on white, beige and brown that are in perfect harmony. 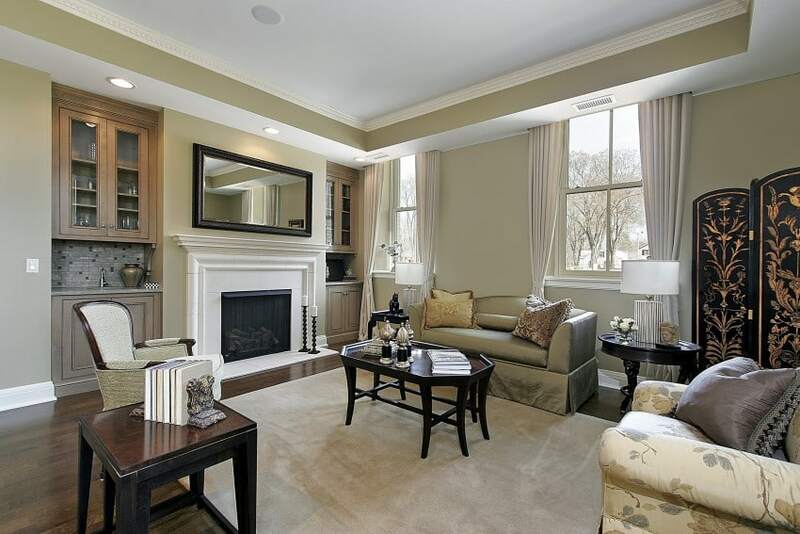 This family room is set in pale neutrals that add a gentle touch to a fine design. 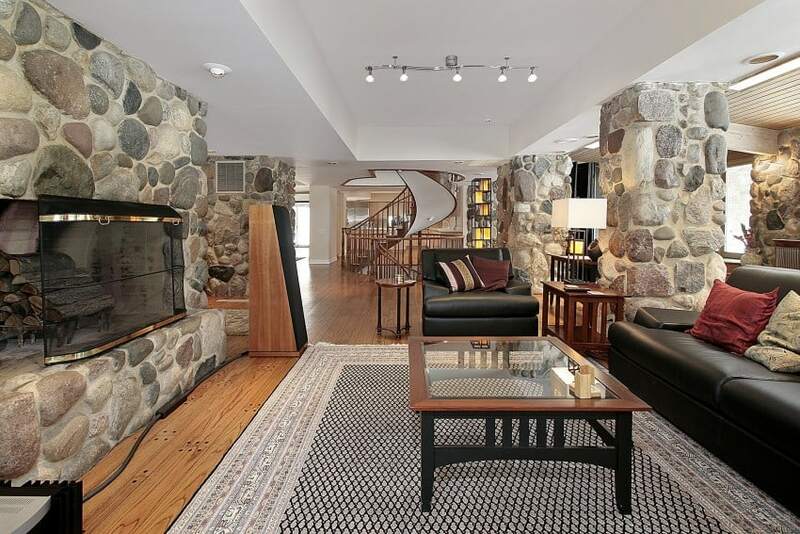 The large fireplace is the main focal point here, and all furnishings are organized around it. It is flanked by two cupboards and decorated with a nice mirror. 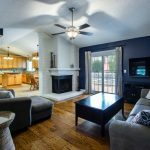 Here is another casual family room that features a sitting area, an entertainment unit with a TV set, and a small dining area. The color palette is set in warm beige and brown hues, with a little bit of blue that adds a dash of color. 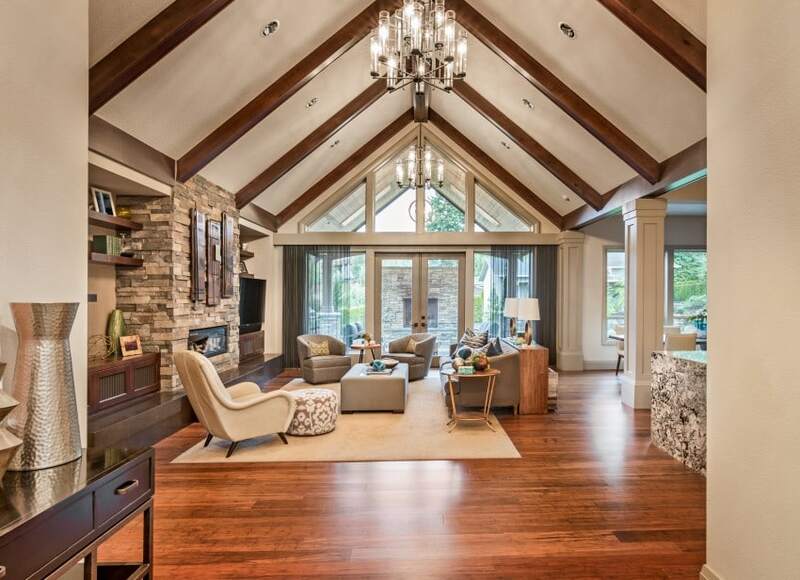 Elegance is the keyword in this fine family room design. It is furnished with a dark grey Chesterfield sofa and a pair of striped armchairs around an upholstered coffee table. The fireplace design is exquisite and rich in ornate details. 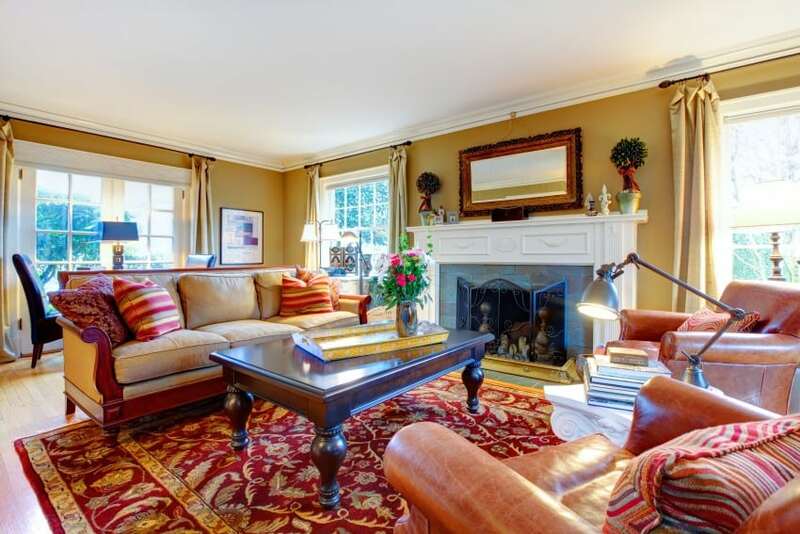 This family room may be tiny but it is packed with elegance and comfort. 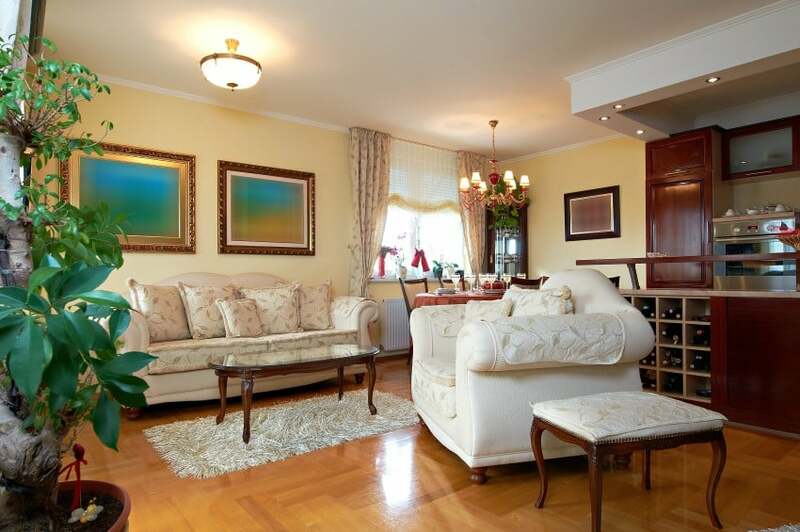 It is set in pale neutrals and furnished with a large sofa, an armchair and a lounge chair. The coffee table and TV unit are just as lavish in design as the seating set. Gray and black are always the key to an elegant design – just take a look at this family room and see for yourself. It is nicely done and comfortably furnished. The stone clad walls certainly add some texture and depth to the design. 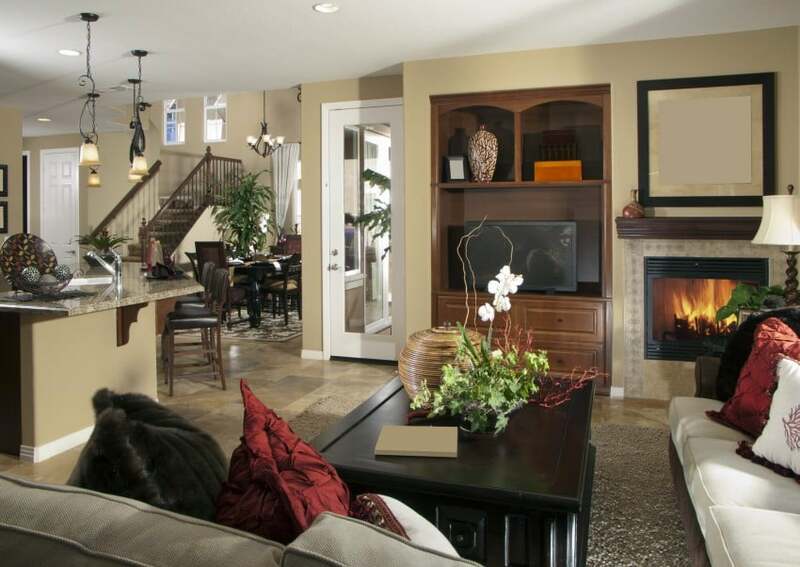 This family room occupies a larger space that also accommodates a kitchen and dining area. The design idea is set in beige, brown and black. The final result is a cozy and inviting interior space. Traditional design inspires a specific sense of comfort and warmth that cannot be matched. This design idea is no exception. 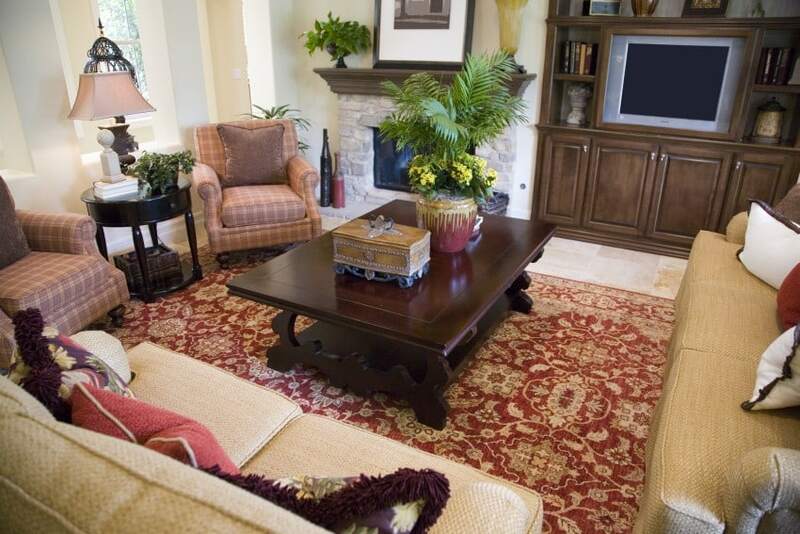 Warm colors and comfy seating are the key ingredients in the recipe for a cozy family room design. Dark tones always make for a dramatic interior design. Toffee-colored walls, tiled floors and a brown leather sofa is the way to go in this family room proposal. Light beige hues are also introduced to bring balance in a predominantly dark color scheme. This family room design idea is bursting with glamour and pizzazz. Gold, sparkle and gloss come together to create a unique setting that is not only greatly impressive, but also cozy and comfortable. 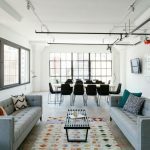 White sofas are most definitely a bold choice for any interior since they are so hard to keep unblemished, but they always look so beautiful and luxurious. They certainly add a dash of elegance to this family room design proposal. 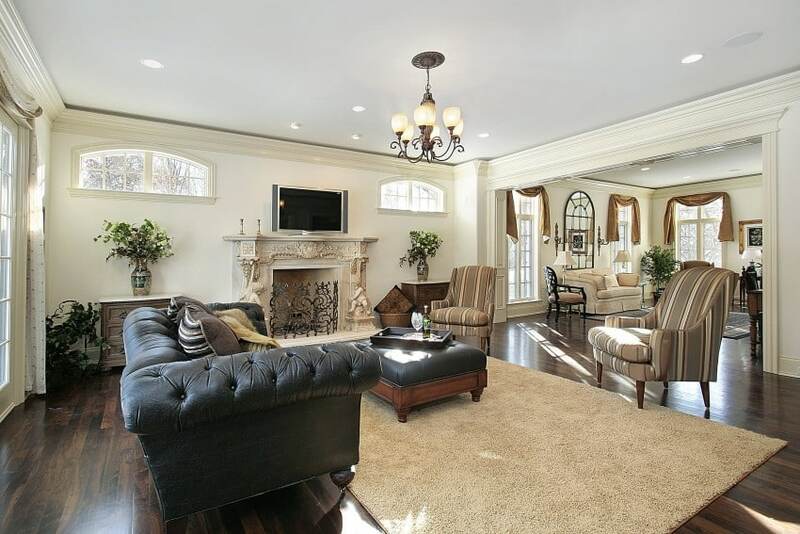 This classy family room is packed with ornate pieces and fine details. A color combination of white, aubergine and yellow certainly is a bold and interesting choice, that cannot be found just anywhere. Beige tiled floors and cream-painted walls need a pop of color or a dark accent to add some contrast and bring some life in the design. Chocolate brown will do the trick with a pair of leather sofas in the middle of the room. 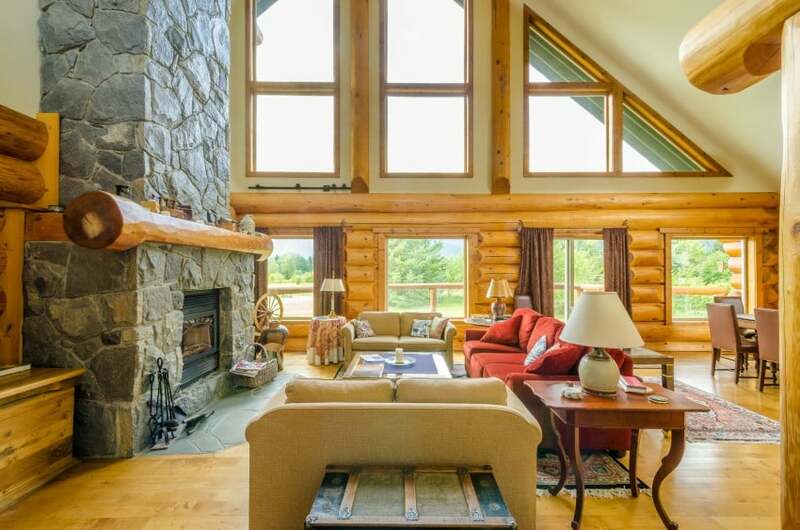 This log house interior is so spacious with its high vaulted ceilings. Exposed wood logs and stone cladding add some texture and inspire a sense of comfort, while a dark red sofa adds a color burst in a neutral color scheme. A simple design in white and grey always looks particularly clean and airy. Wood grain on the other hand adds texture and inspires a warm feel, while mirrors and reflective surfaces make the whole space seem larger than it is. This family room is packed with style and modern elegance. 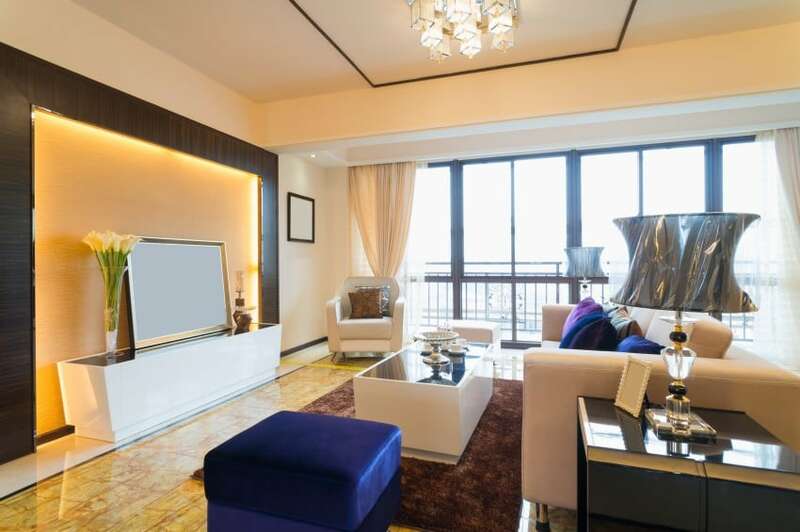 It is furnished with a nice seating set and has a feature TV wall with accent lighting. Beige and cream dominate the scene, but a little color is also introduced in the accessories. 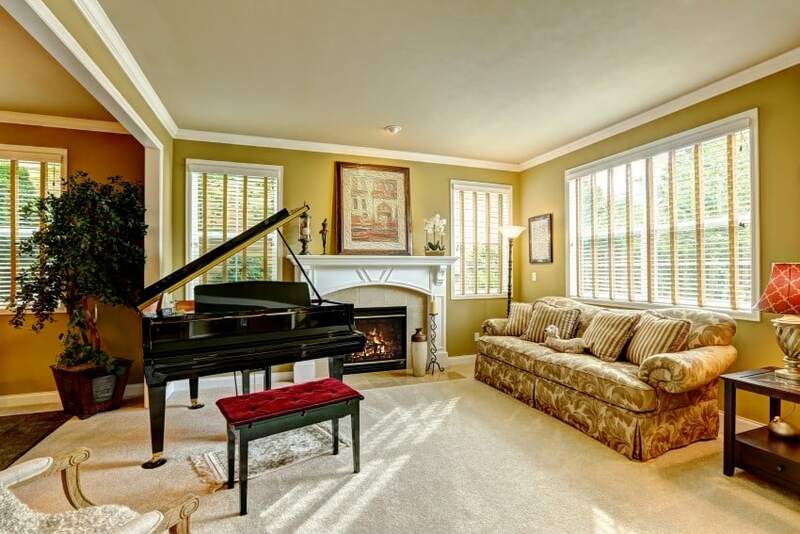 This family room doubles as a music room with a grand piano in the center of the space around which all seating options are organized. A fireplace also serves as a focal point with some artwork and accessories on the mantelpiece. 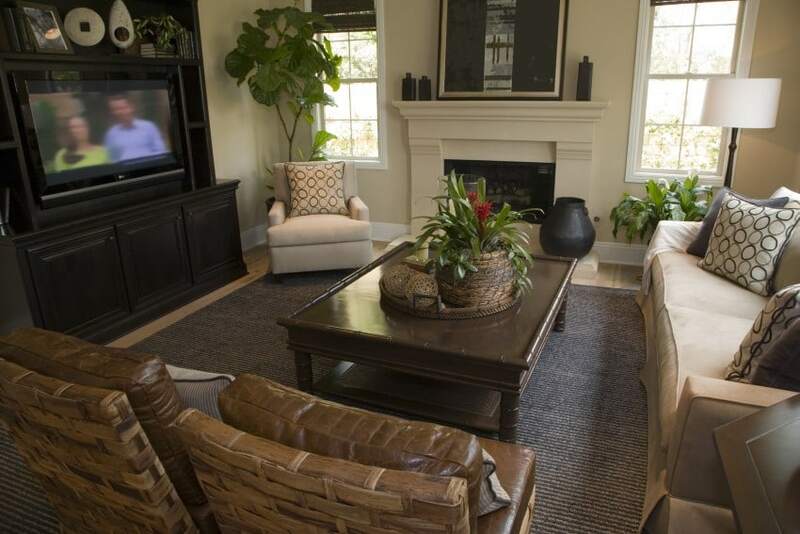 This casual family room is furnished with a set of dark leather sofa and armchair facing a large flat screen TV. 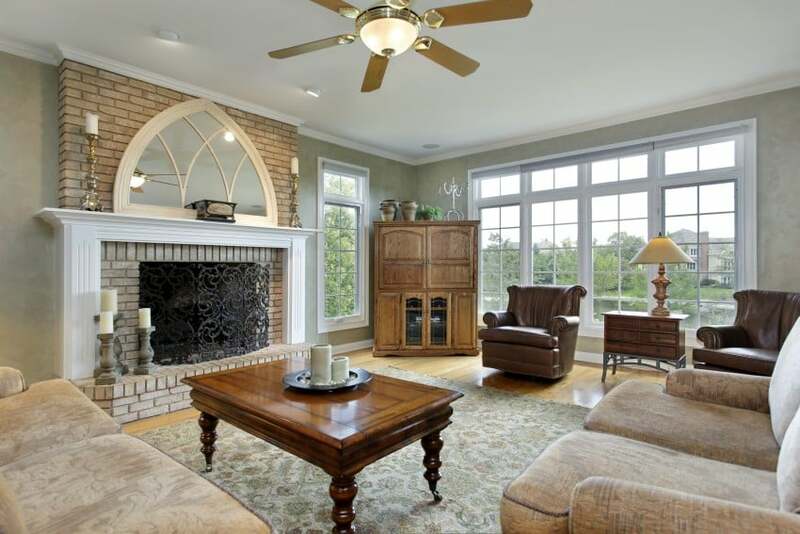 A brick fireplace that inspires a home feel is also available in the design. 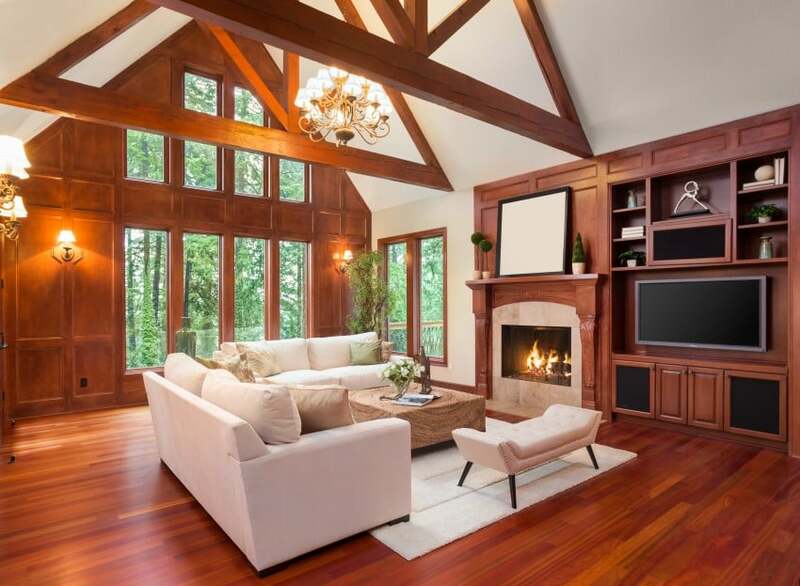 High vaulted ceilings with exposed wood beams make this family room interior one of a kind. 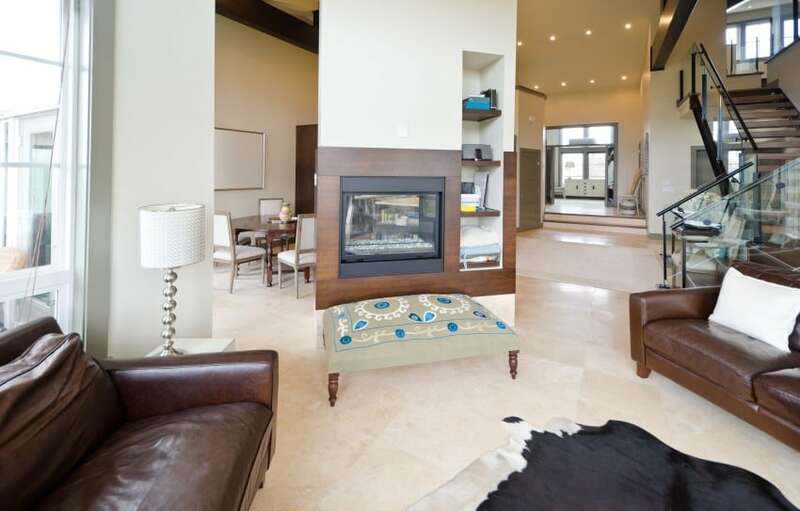 Hardwood floors and stone-clad fireplace are a perfect match that brings out the beauty in this design. Simple furnishings in neutral colors are a fine and elegant choice, too. 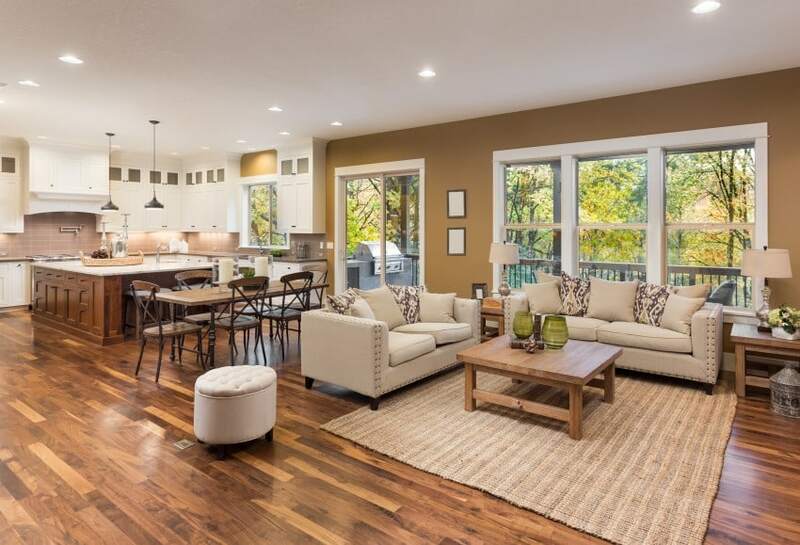 An open concept floor plan is always an asset in a home. 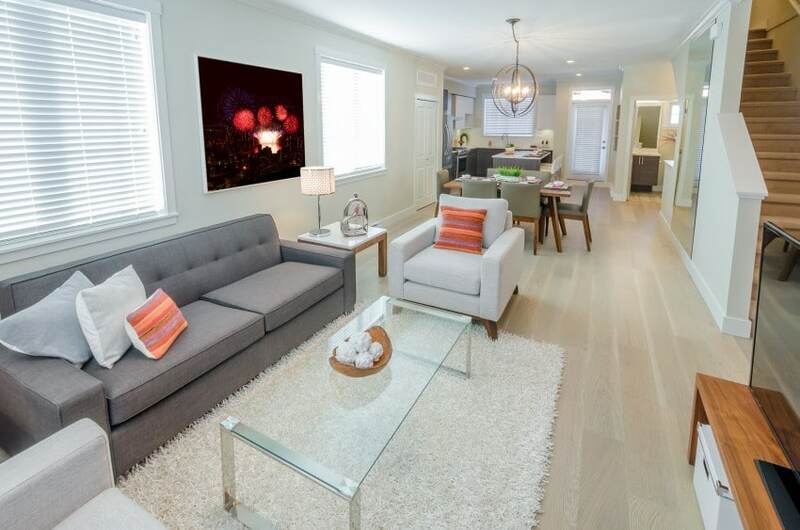 This shared space accommodates a kitchen, dining area and a family room that are all set in white and wood. 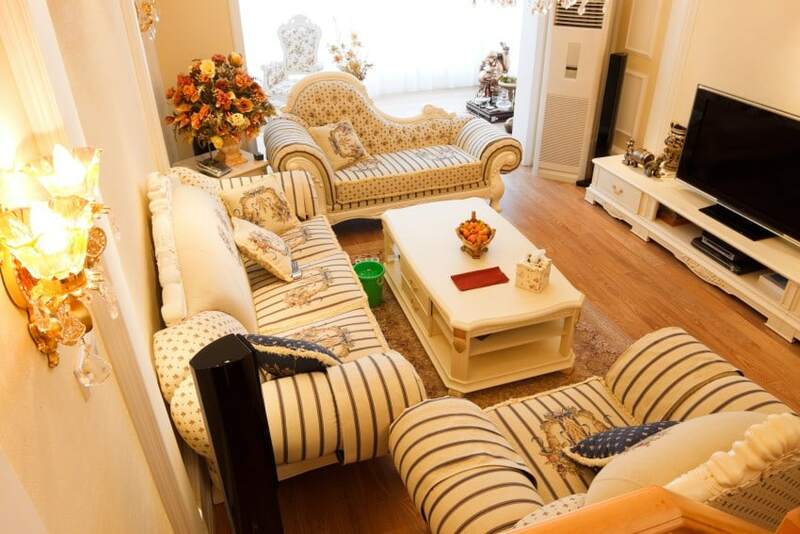 The sitting area is furnished with a set of beige-colored sofas. The patterned decorative cushions are a nice accessory that brings life in the design. The brick-clad fireplace in this family room is a great focal point that catches the eye at once. Large windows are also a great feature for letting in more sunlight. 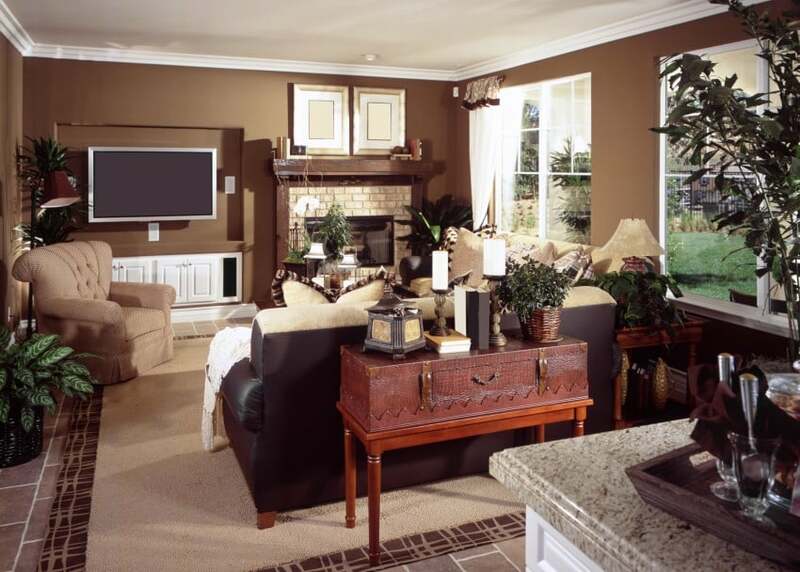 Warm earthy hues are a proper choice for a lovely interior design. This living room space features hardwood floors and wood wall paneling that bring warmth and comfort in the design. High vaulted ceilings and timber framing are another great addition to this room’s interior architecture, and so is the wood clad fireplace.